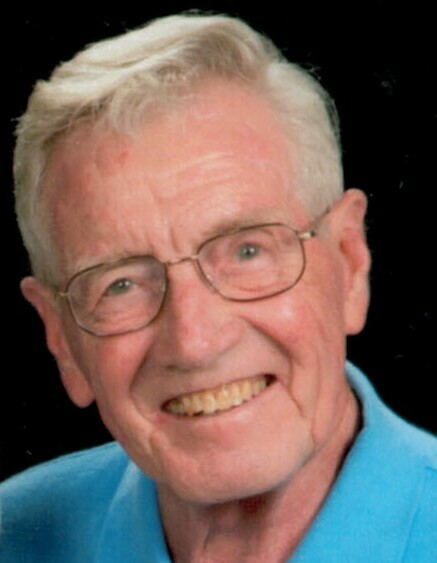 Obituary for Arthur P. Steele | Magner Funeral Home, Inc.
Arthur P. Steele, 90, of Norwalk passed away peacefully on March 27, 2019. He was born February 9, 1929 in Brooklyn, NY to the late Arthur and Elizabeth (McShane) Steele. He is survived by his loving wife, Margaret “Peggy” Conlon Steele who he has been married to for 63 years. Art was a proud Staff Sargent in the Army National Guard’s 192 Field Artillery division from 1950 – 1952. He was a member of New Horizons at St. Matthew Church and volunteered his time at Norwalk Hospital for the last 20 years. When he was not volunteering, you could find Art doing wood working projects, playing tennis, or trying to improve his handicap on the golf course. In addition to his wife Peggy, Arthur is survived by his three sons; Daniel (Karen) Steele of Orange, James Steele (Patricia Ann Chaffee) of Groton, and Thomas (Doreen) Steele of Milford, as well as two sisters, Mary McClean (James) and Catherine Fava (Sal). Art leaves behind six cherished grandchildren; Lisa Beard (Matt), Lauren Blanck (Nyle), Margot Steele, Lila Steele, Emily Heaslip (Jack), and Allison Steele. He is predeceased by three brothers; John, Michael, and Charles Steele and one sister, Sarah Murphy. A Mass of Christian burial will be held on Monday April 1, 2019 10:00 am at St. Matthew Church, 216 Scribner Ave Norwalk, with Burial to follow at St. Mary’s Cemetery in Greenwich. Friends may greet the family on Sunday March 31, 2019 from 3-6 pm at the Magner Funeral Home, 12 Mott Ave. Norwalk.